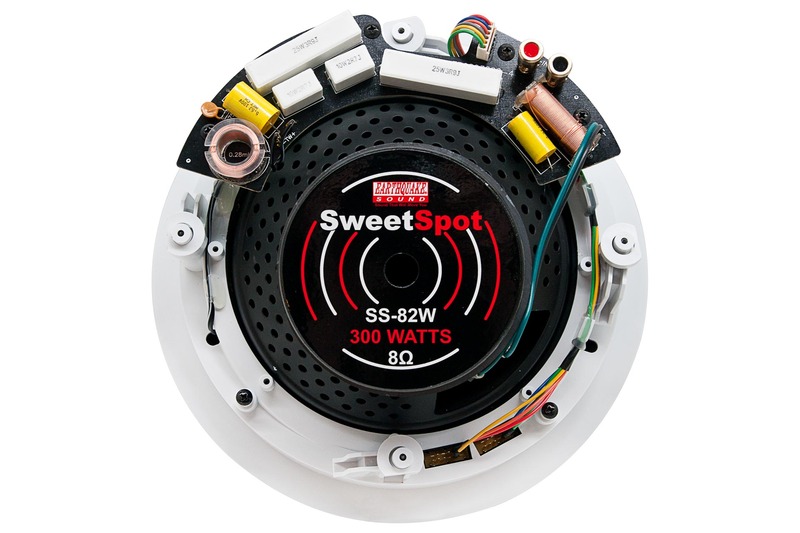 Sweetspot – Special 20 degree angle sound solution. 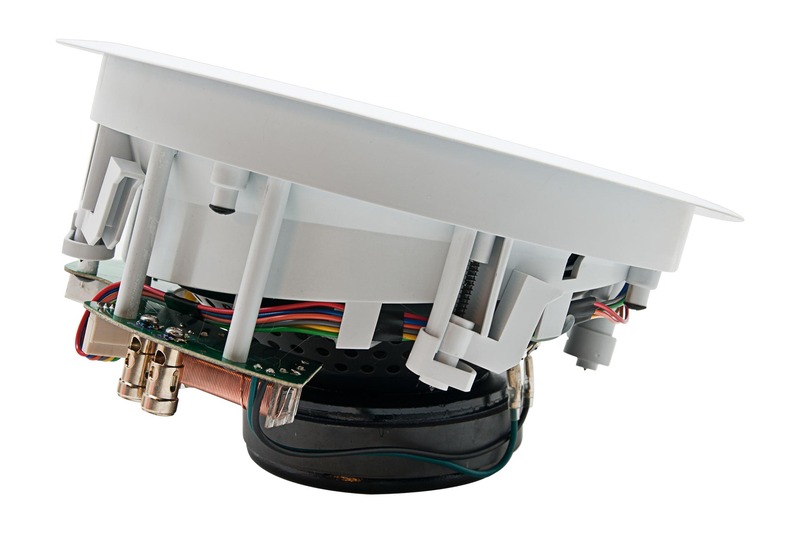 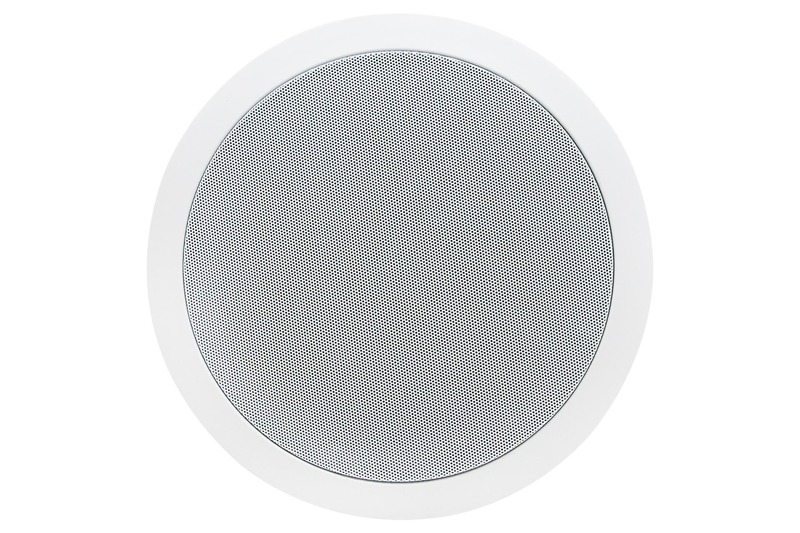 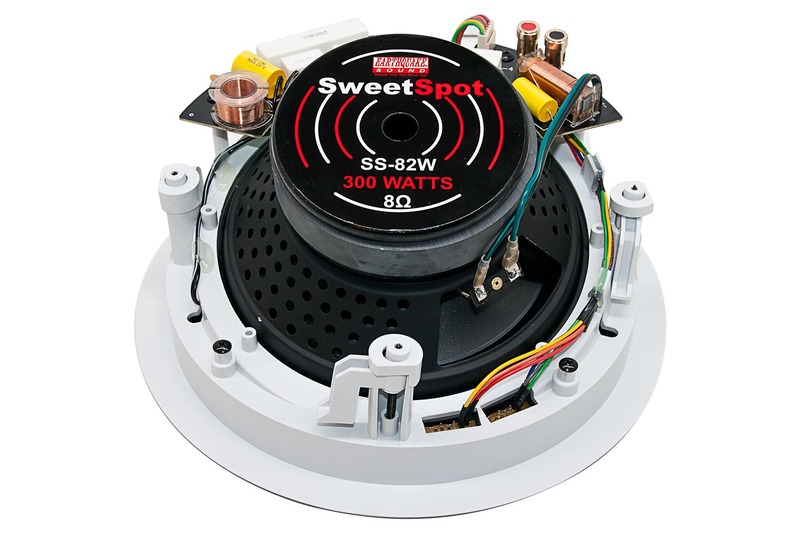 The SweetSpot SS82 in-ceiling speaker adds unique possibilities to the ceiling speaker category. 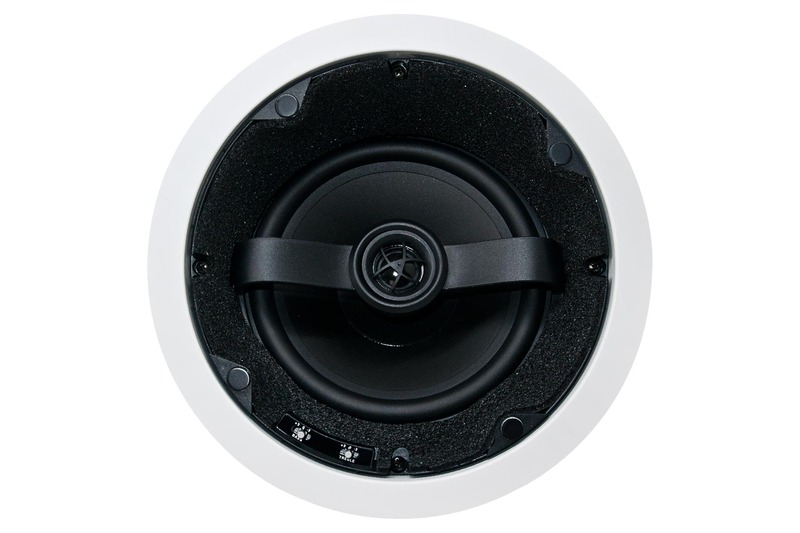 Whenever directional ceiling sound is desirable the SS82 will deliver stunning full spectrum sound. 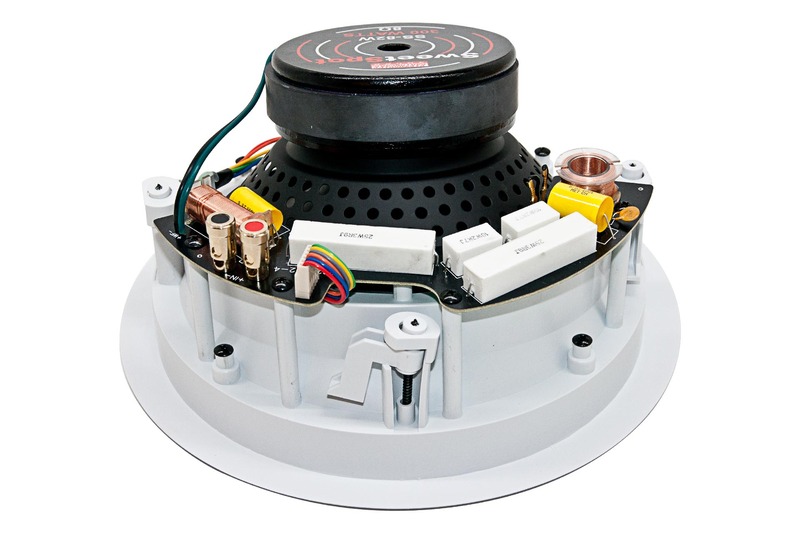 If installation in the ceiling is only possible around the outer rim of the room as in many older buildings, it can provide excellent full room coverage. 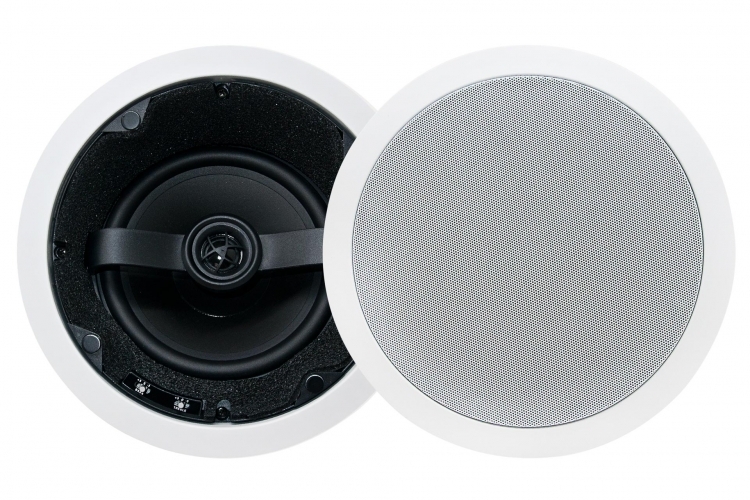 It can also be used in a surround sound system as it gives the sound the directionality needed for correct movie sound playback. 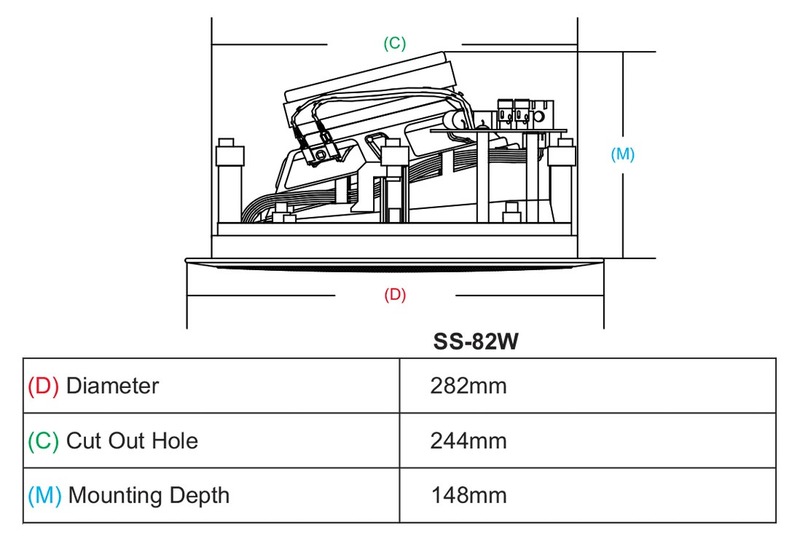 With extended low frequency response to 30 HZ the SS82 can easily operate without the need for a subwoofer. 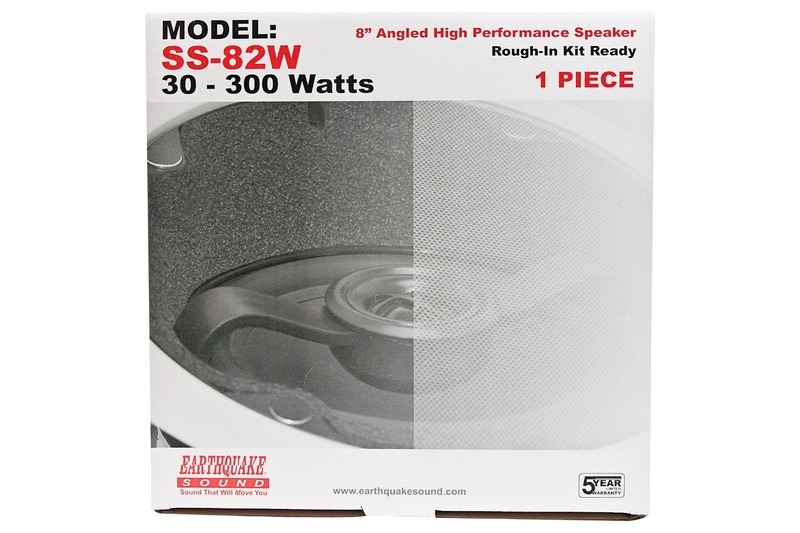 An SS82 in each corner of a room will give great coverage with powerful bass response.